Over-diagnosed? Under-diagnosed? Probably both – and certainly real. ADHD affects children’s school performance and their relationships with others. Parents who are wondering if their children have ADHD are often exhausted and frustrated. Attention Deficit Hyperactivity Disorder is a problem with inattentiveness, over-activity, impulsivity, or some combination of these. Scientific studies, using advanced neuroimaging techniques of brain structure and function, show that the brains of children with ADHD are different from those of other children. These children handle neurotransmitters (including dopamine, serotonin, and/or adrenalin) differently from their peers. While we still don’t know exactly what causesAttention Deficit Hyperactivity Disorder, it appears that it is often genetic. Whatever the specific cause may be, it seems to be set in motion very early in life as the brain is developing. Other problems, such as depression, sleep deprivation, specific learning disabilities, tic disorders, and oppositional/aggressive behavior problems, may be confused with or appear along with ADHD. Every child suspected of having ADHD deserves a careful evaluation to sort out exactly what is contributing to his concerning behaviors. Who gets Attention Deficit Hyperactivity Disorder ? There is a lot of controversy surrounding the actual number of children with ADHD. The Diagnostic and Statistical Manual (DSM-IV) suggests that it occurs in 3 to 5 percent of all children. Other estimates are far higher or lower. It is diagnosed much more often in boys than in girls. ADHD is a long-term, chronic condition. About half of the children with ADHD will continue to have troublesome symptoms of inattention or impulsivity as adults. However, for many children, the symptoms of ADHD may improve with time. Too often, difficult children are incorrectly labeled with ADHD. Some of these children may actually have other mental illnesses or learning difficulties that are not being appropriately managed. 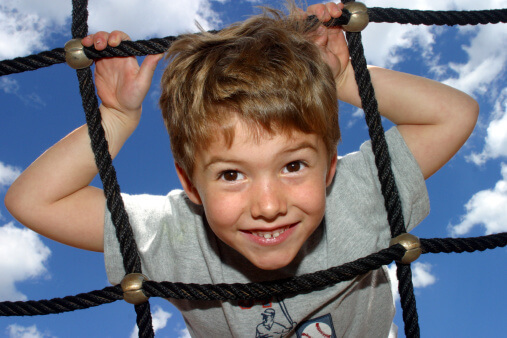 On the other hand, many children who do have Attention Deficit Hyperactivity Disorder remain undiagnosed. In either case, related learning disabilities or mood problems are often missed. The American Academy of Pediatrics (AAP) has issued guidelines to bring more clarity to this issue. The diagnosis is based on very specific symptoms, which must be present in more than one setting (including at school). Every evaluation should include a search for possible additional conditions including conduct disorder, oppositional defiant disorder, mood disorders/depression, anxiety, and learning disabilities. To be diagnosed with ADHD, children should have at least 6 of the attention symptoms or 6 of the activity/impulsivity symptoms listed in the DSM-IV. They must display these to a degree beyond what would be expected for children their age. The symptoms must be present for at least 6 months, observable in 2 or more settings, and not caused by another problem. The symptoms must be severe enough to cause significant difficulties. Some defining symptoms must be present before age 7. Older children who still have symptoms but no longer meet the full definition have ADHD in partial remission. ADHD is a chronic condition and must be treated as such. It is important to set specific, appropriate target goals to guide therapy. When treatment has not met the target goals, it is important to evaluate the original diagnosis, the possible presence of other conditions, how well the treatment plan has been implemented, and the use of all appropriate treatments. Systematic follow-up for the child with ADHD is important to regularly reassess target goals, results, and any adverse effects of medications. Information should be gathered from parents, teachers, and the child. ADHD is a frustrating problem. A number of alternative remedies have become quite popular, including herbs and supplements, chiropractic manipulation, and dietary changes. While there is evidence suggesting the value of a healthy, varied diet, with plenty of fiber and other basic nutrients (the diet that would be best for most children), there is little or no solid evidence for many remedies that are marketed to parents. The most promising specific nutritional actions include getting adequate iron and omega 3 fats in the diet, and possibly avoiding certain artificial dyes and chemical preservatives. Adequate sleep has been proven to help ADHD symptoms. Children who receive both behavioral treatment and medication often do the best. Medications should not be used just to make life easier for the parents or the school. There are now several different classes of ADHD medications that may be used alone or in combination. How can ADHD be prevented? New links are being discovered between ADHD and environmental triggers. Avoiding prenatal tobacco, lead, or organophosphate pesticide exposure, for instance, has been linked with lower rates of ADHD. Minimizing unnecessary exposure to known neurotoxins and maximizing healthy food and sleep may prevent ADHD, but this has yet to be proven. Early identification and treatment can prevent many of the problems associated with ADHD. Attention Deficit Disorder, ADD, Hyperactivity.